Dakine is an American outdoor clothing company that specializes in sportswear and equipment for sports like surfing, biking, snowboarding, skiing, and more. With Big Apple Buddy’s personal shopping service, you can now buy direct from the Dakine online store anytime, anywhere. The Men’s Airstream Jacket 15w is a 3-layer Gore-Tex Shell jacket that is great for the winter time and for outdoors sports. 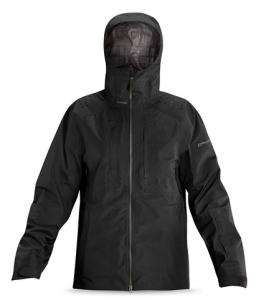 Whether you’re hitting the slopes or just walking around on a rainy day, this lightweight and breathable jacket is sure to keep you dry, warm, and protected. And with multiple pockets on the interior and exterior of the jacket, there is plenty of room for all of your belongings, so you can be sure you’re not leaving anything behind! There is even a pocket specially designed to hold your smartphone, so it’s always within reach and protected from the rain and the snow. Since Dakine is a brand originally founded in Hawaii, there is also plenty of clothing and accessories for warmer weather that you can shop from. If you enjoy hitting the beach and catching some waves, you’ll find plenty of surfing gear available for you. 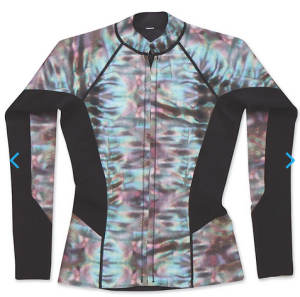 The Women’s Ani Neo Jacket 15s is a light and warm layer to wear while you’re out in the ocean. This lightweight jacket will keep you warm and protected but is still flexible enough to allow you to move freely and comfortably. At Dakine, you can also shop from plenty of options of luggage and backpacks to help you store your belongings. 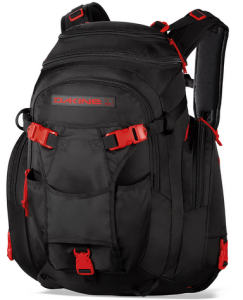 The Builder’s Pack 29L 15s is not your average backpack. This is a great option to take along with you on outdoor hikes and treks, although it can also function as an everyday backpack. This bag comes equipped with a first aid kit, multiple storage pockets including space for a water bottle and a laptop, an internal hydration sleeve, and an adjustable padded waist belt. Bring it along to your next hike, and you’ll find yourself more prepared than ever before! Unfortunately, the USA Dakine online store does not currently offer international shipping. However, Big Apple Buddy, your personal shopper, can help you buy products direct from the official USA Dakine online store and ship them to your doorstep, no matter where you are in the world. If you would like to buy from the USA Dakine online store, simply let us know which items you would like to order (by filling out the form below) and we’ll get back to you with a free international shipping quote within 24 hours!